Today's writer is Sophie Williams who shares some of her favourite things to see in Las Vegas. Planning a trip to Sin City can be incredibly stressful – there are so many things to see and do and most people only have a short amount of time. Las Vegas is a place where you can see the world in one city. One minute you can be in Paris, the next you can be in Italy. If you’re looking for the complete Las Vegas experience then make sure you get a slice of everything the infamous city has to offer. Here are some top highlights to make the most of your stay. If you’re getting a bit bored of the gleaming hotels on the strip then head down to Sam’s Town gambling hall and hotel. One of the older casinos in Vegas, Sam’s Town has the old cowboy style charm about it. Head inside and you’ll be impressed by the atrium containing the Mystic Falls Park filled with waterfalls, trees and footpaths. Stay for the evening, grab some good food from one of the many restaurants and take in the light show. A hidden sparkle in the Las Vegas desert, the Neon Boneyard is the city’s final resting place for retired signs. 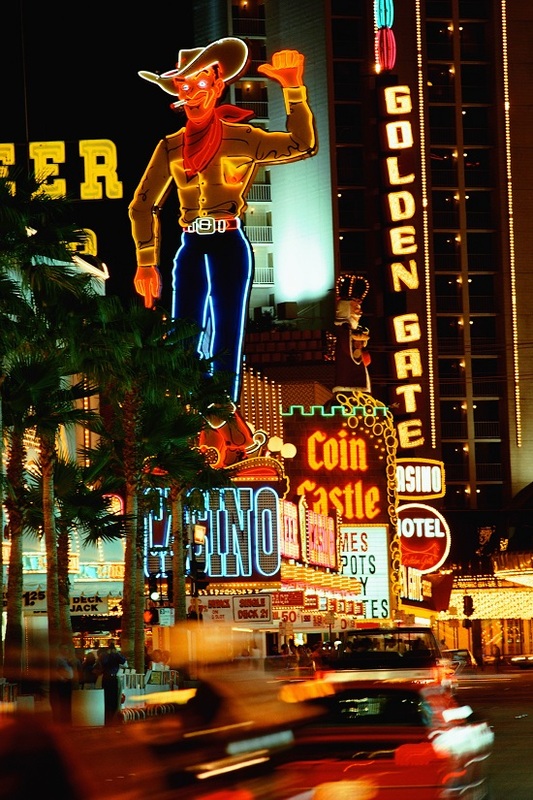 It is home to the most treasured and famous signs including Caesars Palace, the Golden Nugget and Binions Horseshoe. Book a tour of the boneyard and witness the two acre museum crammed with over 150 signs and leave with some great photos. You can’t leave the city without taking a trip to the beautiful Venetian hotel. Wander through the streets, grab some gelato or drink some coffee in St Mark’s Square. 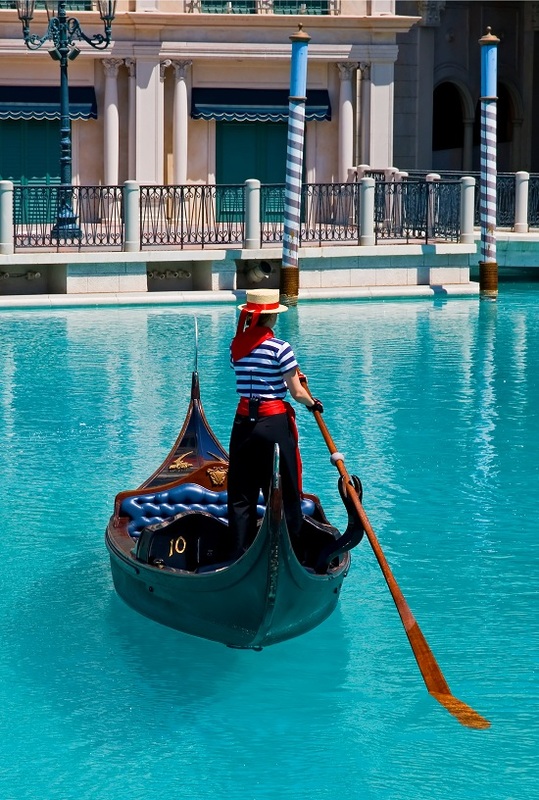 No trip should be without a gondola ride under bridges, under balconies and through the Venetian streetscape as your talented gondolier sings typical Italian opera tunes. For most people, just taking the lift up to the observation deck is enough. But the Stratosphere is also home to the highest thrill ride in the world. Big shot shoots you 160 feet up into the air at 45mph giving you great views of the skyline – not that you’ll be paying too much attention of course! Recently the Stratosphere has added a new addition – a free fall from the 108th floor making it the highest free fall in the world. Try if you dare. Go further down the strip and take a look at the Fremont Street experience. Get a feel of the party atmosphere, visit a few of the casino bars and watch the street performers. The canopy above the street puts on a light show after dark which is worth visiting the area for alone. If you'd like to hear more about Sophie's travelling adventures, take a look at her blog Luggage Tags and Ticket Stubs. Can you suggest any other unusual things to see and do in Las Vegas? Take a look at our holidays to Las Vegas from just £599 for flights and four nights in the Stratosphere. You could save up to £420 per couple until June 15 2013.